12 Pack Ridge Runner Folding Revolver Gun Knives with Counter Display | BUDK.com - Knives & Swords At The Lowest Prices! 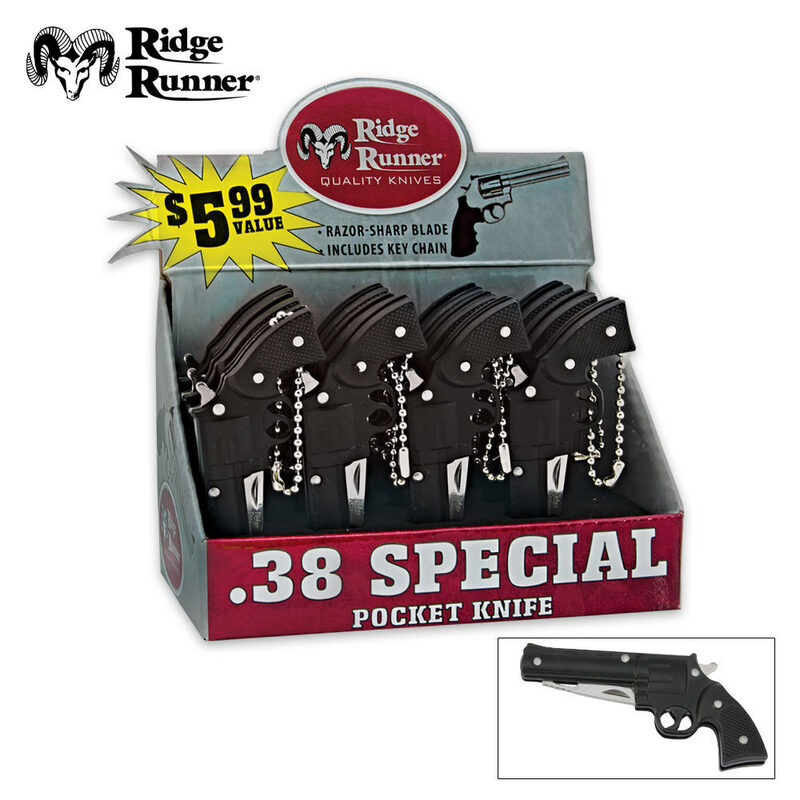 This pack of 12 .38 Special revolver knives offers a dozen folders at an incredible price. Each of these little folders from Ridge Runner is the perfect little accessory, fitting in your pocket comfortably and providing a small, stylish pocket knife whenever you need one.